A blog reader sent my way a Huffington Post article that was published yesterday about how Lebanon has the Arab world’s first ever female pastor: Rola Sleiman, who heads the Presbyterian Church in Tripoli, up North. Rola was ordained as Reverend Rola Sleiman on February 26th, 2017 in a 23-1 vote that makes her, historically, the first Arab woman to ever be the head of a church. In fact, Reverend Sleiman was actually heading the church for the past few years as a pastor, but without being ordained she was unable to perform Communions or Baptisms, and needed to have a male priest oversee her work. But this is a big deal. The fact that a Presbyterian Parish in Tripoli ordained a woman to be their spiritual leader speaks volume about the strides forward that some parts of Lebanese society are doing. Rev. Sleiman is the first woman – ever – in the entire Arab world’s Christian population be be ordained as a priest. In other words, she’s the first woman to break into a calling that’s only been reserved exclusively for men. That small congregation in Tripoli will now have the honor to be headed by Rev. 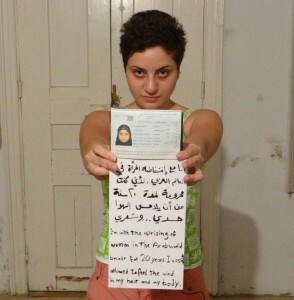 Rola Sleiman for the following years to come. She’s a woman who is now championing equality in facets of Lebanese – and Arab – societies that we never thought could be broken into. It’s fitting that this occurs at the start of the international month for women empowerment. Rola Sleiman’s ordainment is of vital importance in the climate of the world today where far-right groups are taking power and throwing minorities and women rights to the back of any tangible importance. As she told Huffington Post: “If the Church discriminates against women, what should we expect of the state? Christ is love, and love does not distinguish between men and women.” She is breaking tradition, ancient rules and cultural sensitivities. In fact, she may be breaking some of the strongest traditions in the country and the region. For many, their highest form of authority is the priest who has always been a man. This time, it’s a woman. I hope Rev. Sleiman becomes the champion that her position permits her to be. Of course, this will not change the status quo of the fight for equality between the sexes in Lebanon or the Arab world in general, but it can change some of its dynamics. To have a woman be ordained as a priest for a congregation – even if it’s small – and have that congregation not be opposed to it (as is obvious through that 23-1 vote) speaks volumes about how far we’ve come as a society, and it makes me proud. In a country and a region where woman, despite being a demographic majority, are vastly under-represented be it in religious affairs, politics, business, etc… Rola Sleiman’s ordainment speaks volumes. There will be people in this country, Christians and otherwise, who will have a problem having their Church headed by a woman. Catholics and Maronites don’t even allow it. But in a landscape filled by men, a change of perspective and, therefore, a change in direction is what is needed. Rev. Rola Sleiman can be that catalyst towards change in the heart of the Lebanese Church and the face of Arab Christianity. Here’s to many more years to come in joyous and prosperous service of your altar and congregation, Rev. Sleiman. I always thought Jesus of Nazareth was the same as Jesus Christ. It was how I was brought up. That figure was the man I was taught over and over again never to question, to always take whole, never to tackle in a way that could tarnish his divine image. But, as it seems, Jesus of Nazareth is entirely different from Jesus the Christ. One is the simple historical version of a man who existed the same way you and I did. The other is the embellished version that the Church has worked years to build. The man from Nazareth was someone who was born in Palestine and who was crucified. Whether his birth was of immaculate conception and whether he got resurrected after his death are matters of pure faith that fall under the domain of Jesus the Christ. If you believe in those two entities, then Jesus of Nazareth doesn’t really matter because your faith is unshakeable. But if you’re like me, full of doubts and constantly questioning, Jesus of Nazareth may hold a few surprises up his sleeve. I recently read a book about the historical Jesus – the man that Jesus truly was. 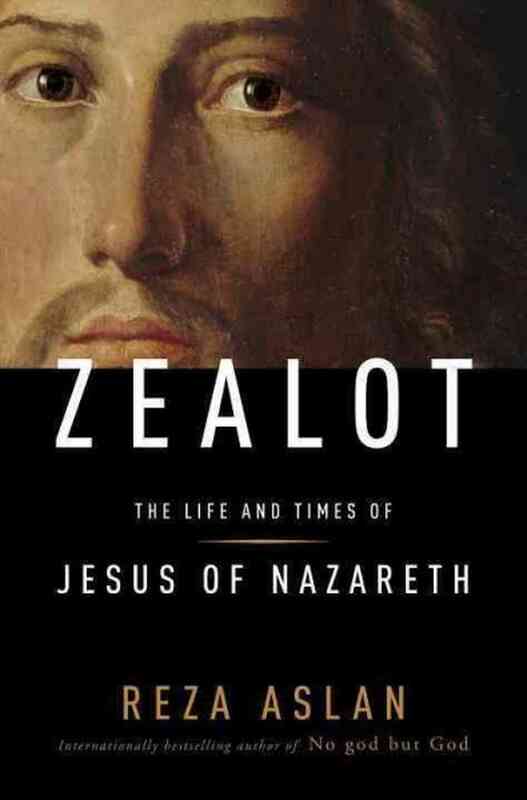 The book was titled: Zealot: The Life and Times of Jesus of Nazareth. Yes, it’s the book that caused a ruckus across the United States because its author was Muslim. Yes, I read it more out of interest in what the fuss was about than about the entity on whom the book revolved. Yes, it was an interesting read. Yes, I was left with more questions than when I first set reading the book’s pages. Yes, I think the book is impeccably researched. No, I don’t think the author is biased. No, I don’t think the author’s religion impinges on his judgment – if anything, he’s also discrediting his religion by saying Jesus actually died on the Cross as opposed to what Islam preaches on the issue. No, I don’t think the book is perfect. No, I’m not silly enough to believe what he’s saying is scripture but I believe it’s important enough to strike a conversation about. The entity of the historical Jesus doesn’t really challenge Christian faith whose foundations are built upon three main elements: the Holy Trinity, Jesus’ birth and Jesus’ resurrection. The concept of the historical Jesus is what happened to Jesus’ life between his birth and death. If you believe Jesus died and resurrected for your sins, then whatever happened when he was alive holds little importance. For starters, the Gospels were not really written by the saints to whom they are associated. It seems that was common practice back then, as a form or respect, to write what a man would have written and associate it with them. They were never meant to be a historical documentation of Jesus’ life and yet we are taught that they are. Jesus was not born in Betlehem. The census that the Gospels speak about apparently happened after Jesus’ supposed birth and the type of census wouldn’t have required Joseph and Mary to relocate all the way to Betlehem. Why was this altered? Because the Gospels were trying to give Jesus the characteristics of the Jewish Messiah who had to be born in David’s town. Jesus apparently had brothers and sisters and this is has been historically proven. The Church has tried to cover the fact that the man to whom Jesus gave the mantle of the Church was his brother James because this poses a problem to the doctrine of the perpetual virginity of Mary. To me, however, Jesus becomes much more interesting if he actually had siblings and if those siblings had tried to keep his message alive. Jesus was a man of profound contradictions which we apparently don’t notice. At one point, Matthew 15:24, he says: “I was sent solely to the lost sheep of Israel.” At another point, Matthew 28:19, he calls to “go and make disciples of all nations.” Sometimes he calls for peace: “Blessed are the peacemakers for they shall be called the sons of God”; Matthew 5:9, and at other points he calls for violence: “If you do not have a sword, go sell your cloak and buy one”; Luke 22:36. These verses have been proven to have a higher accuracy chance than others because they happen to exist across the four Gospels that are believed to be the most accurate. It’s worth noting that if Jesus had his way, we may not have turned Christian at all: “Go nowhere near the gentiles and do not enter the city of the Samaritans,” Matthew 10:5-6. Some infamous statements that Jesus made, such as “love your enemies” and “turn the other cheek” were also removed out of the Jewish context in which they were said because early Christians wanted to make his character more universal and disassociated from Jewish zealous nationalism. Jesus was also not an anomaly in the times that he lived. There were plenty of “self-proclaimed” Messiahs that came before him and many more after him. His preaching time, which lasted three years, started soon after he met John the Baptist. Historical proof seems to indicate that Jesus was a disciple of John the Baptist but Gospel-writers tweaked the story later on to make it sound like John the Baptist was the subordinate during Jesus’ baptism. His miracles, however, have apparently happened. There’s no scientific proof, obviously, that they were truly miracles, but there is proof and enough documentation about a man called Jesus who trotted around Galilee, healing people. However, even in this Jesus was not alone. His advantage? He didn’t charge any fees. The story of Jesus’ death, the way he was dragged from one court to the next, seems to have been embellished as well. Pilates’ washing his hands from any guilt regarding Jesus’ crucification while pinning it all on the jews is but the attempt of early Christians to make their preaching more accessible and acceptable to the Romans who soon became their main focus. Pilates, it seemed, was a ruthless man who crucified any one he met. Jesus may have had an audience with him but it wouldn’t have been more than a reading of the charges and a quick sentencing. But Jesus has been crucified and crucification was reserved by the Roman authorities to people whom they viewed disrupted order. Current Christian theology stems from the teachings of St. Paul which are apparently drastically different from what early Christians believed Christianity should be: a variant of Judaism that is based on Jewish laws with the acknowledgement that Jesus of Nazareth was the long awaited messiah. This “fight” between James the Just and Paul illustrates the difference between Jesus of Nazareth and Jesus Christ: What Jesus was versus what it is believed he meant. It is the resiliency of Paul’s teachings that have done the most work at obscuring who Jesus of Nazareth was. I was told that the historical Jesus was someone worth worshipping. After reading the book, I felt that wasn’t the case. I had no idea with what stroke of luck he managed to found the world’s biggest religion. I had no idea why he, out of everyone like him who came before and after, stood out. Two decades of rigorous research made Reza Aslan, the author of the book in question, a more devout follower of Jesus of Nazareth than he ever was of Jesus the Christ. Two days of reading his book have left me in the cold. What I thought was special about Jesus Christ turned out to be but a variation instilled in Jesus of Nazareth by the Church I was taught to follow. What I thought made the entity I worshipped special turned out to be but mere additions here and there to make his story fit ancient prophecies. As it stands, I really have no clue what’s special about Jesus of Nazareth. Bad luck Muslims: they drew a deep sigh of relief when the Boston bombings turned out not to be done by a Saudi citizen… it turns out they were European Muslims who, ironically, are literally Caucasian. I guess racial profiling is out the question now? I didn’t know that a simple comment on a BuzzFeed article from yours truly would spark a debate of over 50 comments and a hundred “likes.” The article in question was simply about the Islam leaning-Youtube page of one of the bombers. My comment was: how is this relevant? Many sided with me. Many called me overly politically correct. Many others said that even though not all Muslims are terrorists, all the terrorists are Muslims. If you ponder on that last statement, you are sure led to believe it’s true: the Boston Bombings, 9/11, etc…. However, it turned out to be the furthest thing possible from the truth. There’s a hypocrisy when it comes to the categorization of “terrorism” in American media. For instance, the Aurora and Newton shootings were not carried out by a “terrorist” but by someone who was mentally unfit. If in a hypothetical scenario that person worshipped Allah instead of God, the “terrorist” label would have been used. Labels tend to stick. The American and international media have been doing a “fantastic” job at highlighting select bits of acts of human violence and throwing them as representative of an entire sociological or religious aspect. Their portrayal of any violence that happens to come from Muslims tends to be sensationalized à la Middle Eastern way of reporting and, since their extent of knowledge regarding Islam and Muslims is very limited, it also comes off as ignorant. But not to those who take that media as scripture. 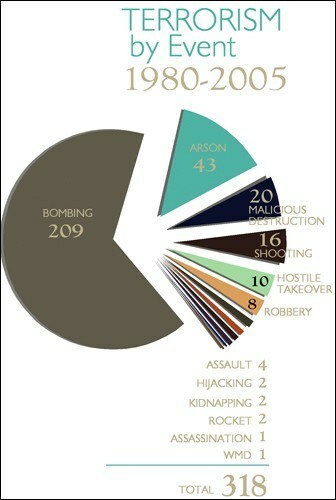 Moreover, the numbers to back up the “all terrorists are Muslim” claim is simply not there. Sure, many things happened since 2005. But not all of those things were from Muslims. The above percentages may have fluctuated slightly but they’re still representative. 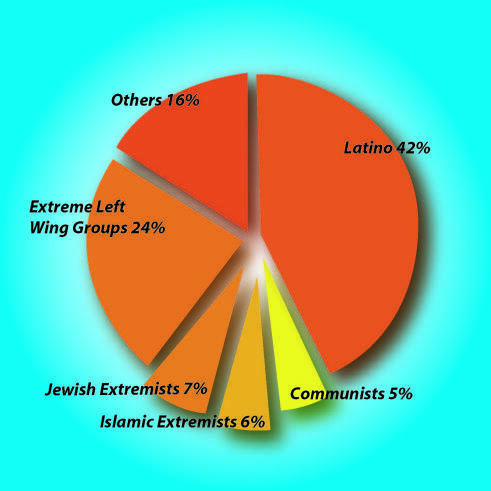 For instance, Jewish extremism has over a period of 25 years committed more acts of terror in the United States than Muslims had. Now isn’t that interesting? Did any American know about this or is it hail-Israel and bomb-the-Muslims all the way? The more societies across the world shut out, categorize and work against people just because they wear a headscarf or pray in a different way, the more these people will find refuge in doctrines that may not represent their true beliefs. The actively-fueled verbal, moral or even social violence only serves to increase the physical violence of those on the other side of the equation. There could be a linear relation there. Sure, the aforementioned premise is an over-simplification but talking about Saudi or Qatari policies of exporting radical Islam coupled with American policies in the region which help fuel this export will take forever. Is there a growing trend of radicalizing in Islam? I only need to look at samples across my country to say the answer is yes. But fighting this growing radicalization doesn’t happen by clumping those who haven’t fallen prey to erroneous indoctrination with those who have anti-American, anti-West or anti-non-Islam agendas. The whole point is: political correctness is perhaps something that we need in a time when it’s very easy to judge and lump people in a batch of stereotypes just because we think we know everything there is to know about them, especially when said-political correctness isn’t really coming from a higher moral ground as much as it’s emanating from actual reality. Empathy isn’t a one-way street. Those terrorist Muslims are the ones dying in the tens and hundreds daily across the world today and it’s not only because they’re fighting among each other. So next time someone wants to “kill all the Muslims,” know this: not all Muslims are terrorists and it’s a certainty that not all the terrorists are Muslims – not even half of them. 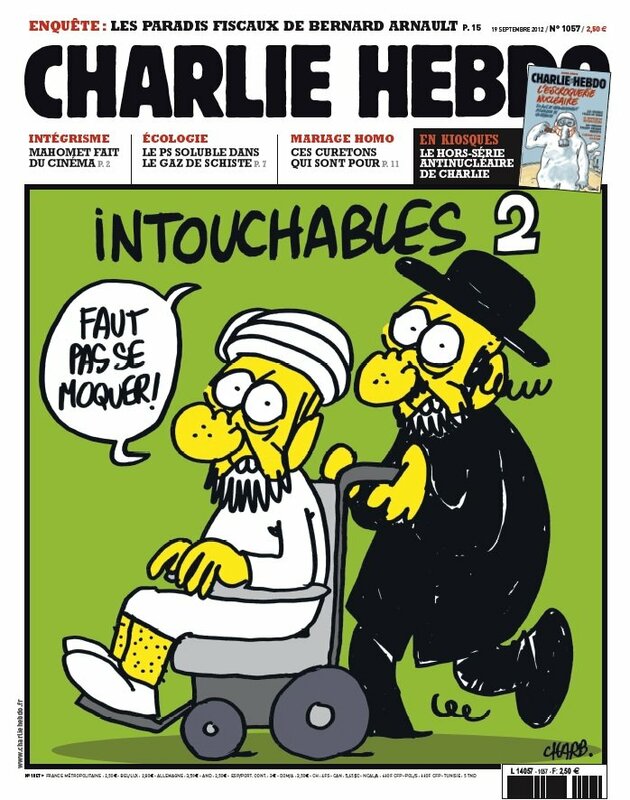 I love Charlie Hebdo. How can you not love Charlie Hebdo. He hits the nail on its head so brilliantly and he makes it look so effortlessly funny. Oh, you don’t like him? Well, too bad for you. I find the following caricature to be absolutely hilarious and spot on – especially if you’ve watched the movie he’s alluding to (click here). Following the publication of this picture, French embassies across the world have started boosting their security measures as they prepared for a wave of demonstrations similar to those against the Americans following the anti-Islam movie that was published. I, for one, have no idea why how some so-called Muslims even saw the prophet in that picture because all I can see is a man similar to the ones protesting getting dragged by an Orthodox Jew, an obvious jab at both religions but not at their holy figures. But what do I know, right? The movie was disgusting. This picture though isn’t. The response of some so-called Muslims, obviously a minority, will be the same regardless. Their prophet was “insulted” therefore they must kill people. It’s a simple leap of reasoning for them. For everyone else, it’s nowhere near comprehensible. Even for other Muslims. People are calling this the Dark Age of Muslims, in stark resemblance to the Christian witch-hunts and crusades and crackdown on science. But is the classification based? Let me ask a question. How many Muslims look at the above picture and can’t help but smile? And why do those who smile actually do so? The answer is quite simple: thick skin. And it’s what more Muslims need to start building. Why? Because in the age of freedom of speech that’s slowly but surely becoming less and less defined, the backward mentality of some of them when it comes to their religion is beyond unacceptable. It’s borderline nauseating. 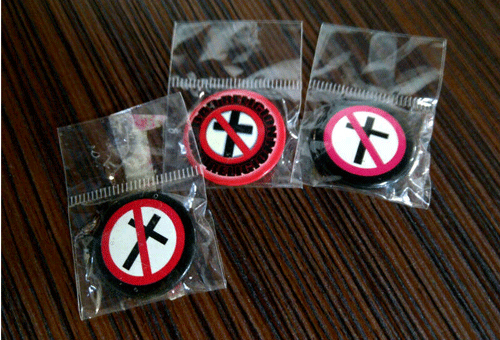 These pins are sold in a Christian area of Lebanon. 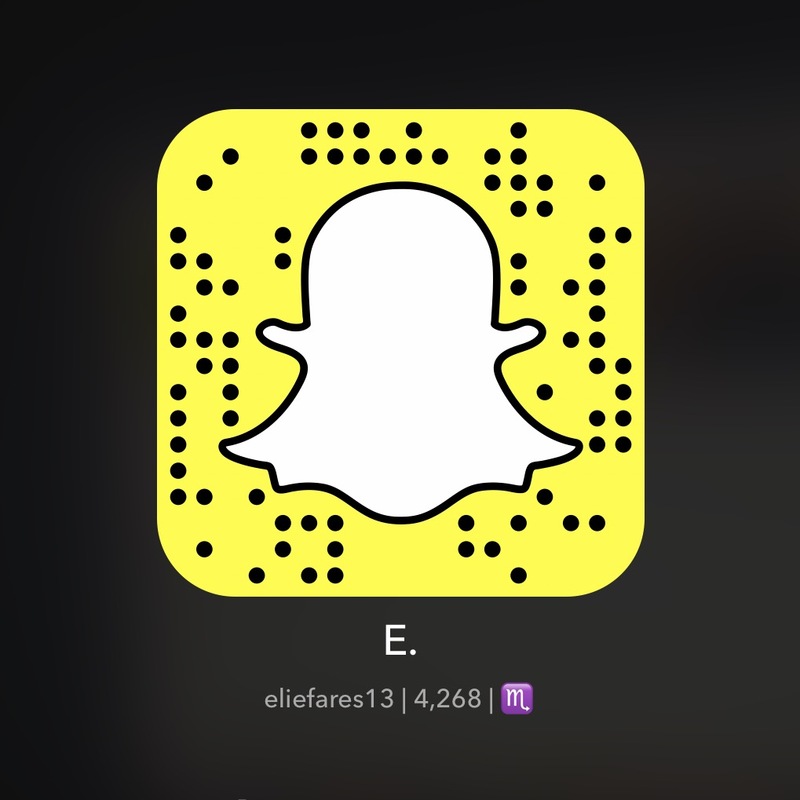 Their origin has been reported to be somewhere in Beirut’s southern suburb but I don’t care about that. What I care about is the fact that these pins didn’t even elicit the response from Lebanese Christians that the flip flops did last year. In the case of flip flops last year, the reaction was more than peaceful. No food chain stores were torched. The only thing that happened was that the store was closed by a court order for a weekend as people prayed in front of it. How many Muslims are publicly praying on the “insults” these days? Not many I suppose. Keep in mind that for Christians, Jesus is God. Therefore, people insulting Him would be a much greater offense than insulting a prophet. And yet, no one is dying for insulting Jesus over and over again and let me tell you it’s not because Christians don’t have their fair share of religious pride. How many so-called Muslims are publicly raging over the movie and the comic? Many. I’m sure there are many more Muslims who just let it pass. I’m also sure that there are many more that are better than the best of people at handling these things. But sadly that’s not the image the world gets across. The image the world gets of many of my friends is that they are a bunch of narrow minded, religiously blind zealots who can’t but get up in a fit whenever their prophet is insulted and the world doesn’t know why. And this idea sickens me. But I can’t do anything about it because whatever I do, I’ll be the Christian looking at it from outside and preaching. So the world challenges Muslims again and again and again waiting for a change in their reaction. But the change never happens. The reaction keeps on increasing. And the impression of Muslims becoming more blinded and more religious and, well, more unfree increases in the process. And all of this is because of the ignorant attitude of some. The world doesn’t know that in Islam, portraying the prophet in picture is forbidden. Or it could be that they know and they don’t understand why. To be frank, I don’t even understand what the big deal is about painting a prophet in a picture. But what some so-called Muslims should know is that the world doesn’t care even if it was a cornerstone of their religion. Why’s that? Because the rest of the world is fast moving away from the bonds of religion and they expect everyone to keep up with them and the level of freedom that they are reaching. It’s overly simplistic perhaps but that’s the way it is. The DaVinci Code. The book that caused a frenzy among Christians. It’s even banned in Lebanon. Contrast this to The Satanic Verses. Both books have more or less similar esoteric themes. Both books were widely successful. Both books are works of fiction. Both works were picked up by the corresponding religions they spoke about. Only one of those led to a fatwa asking to the murder of the author. And I have to ask: why? It’s not because Christians are more open minded. It’s not because they are more tolerant. God knows there are more narrow-minded Christians than they let on. I know many who are like that seeing as I come from the heart of Christian Lebanon. It’s because over the time, the majority of Christians developed a thick skin against these types of “insults.” Many don’t see them as insults anymore. I don’t think I’ll find a Muslim who doesn’t see in the above caricature an insult somehow. 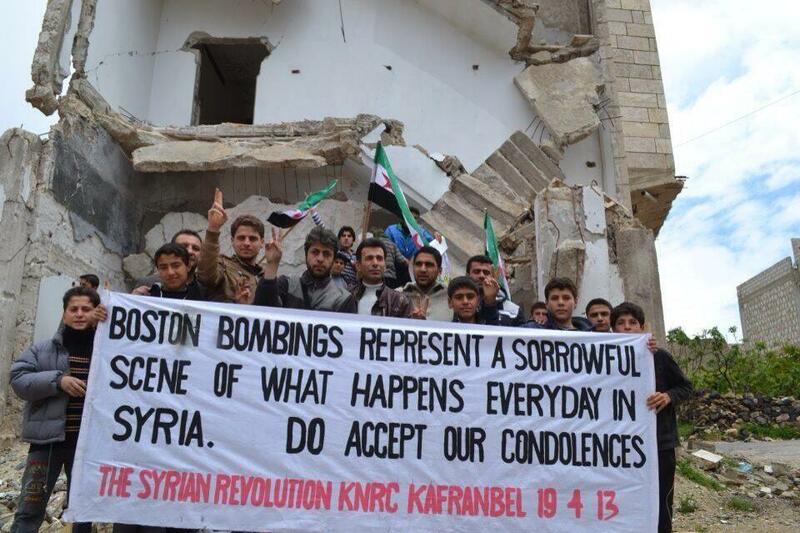 Even among the ones who are condemning the reactions. But the problem isn’t only with those “people” protesting (read killing) on the streets. Did you know that some twisted sheikh in Sidon decided to issue his own mini fatwa to permit the killing of the filmmaker behind The Innocence of Muslims? If you didn’t, now you do. How many Muslims can fathom this? The problem is that they are many. And some might even take him out on it. It has happened before with Salman Rushdie and Islam hadn’t been hit this hard since. That sheikh’s protest was one of many that took place in Lebanon yesterday regarding the anti-Islam material. Some French language centers had even closed down for the day for fear of actions taken against them. Lebanese army tanks were spotted in the parking of Burger King and other franchises. What some Muslims are failing to grasp is that the only thing hitting Islam and bringing it down is Muslims. And they are bashing it, tearing it, destroying it, demolishing it, annihilating every single foundation of it – all five pillars – with the behavior of some people and some beyond ignorant, beyond bearded religious men and their turban which, to those people, holds the pride of a religion whilst the only pride being held is the arrogance of said bearded religious men as they flaunt one extreme idea that defies the foundation of the religion they claim to know after another, sort of like candy at a carnival. Except it’s not haram. Why isn’t this the dark ages of Muslims? Because such a thing is impossible to happen in this day and age. When the Christians had it, news didn’t travel in the blink of an eye. Almost everyone was ignorant. The corrupt church was the only entity effectively governing the world back then. But I have a solution to help these imbeciles. How? Let’s start with making the level-headed religious men of Islam more powerful. Make their voices louder than the useless but effective shouting of those rallying the angry masses. Make the fanatic religious men with their hate mixed with extremism with a dose of stupidity to top it off categorically and irrevocably nobodies. Make more “anti-Islam” material. Brochures, clips, caricatures… you name it. Call it some people being offensive, call it freedom of speech. But make so much material that the only reaction possible would be to start ignoring and grow thick skin. It’s like giving a five year old so many toys he’d be saturated. Saturate their little heads. Expose them to so many stimuli that the only thing they’d want to do is go home and tuck themselves into bed and cry themselves to sleep and then wake the following day and realize that their prophet doesn’t care one bit about the movie, the caricature, the brochure and neither should they. Did I mention I love Charlie Hebdo? Let’s not hope some fame-seeking bearded imbecile decides to kill the cartoonist too.